This Electric Jungle print is more dressy that my other prints. It's black on a beautiful shiny satin fabric. 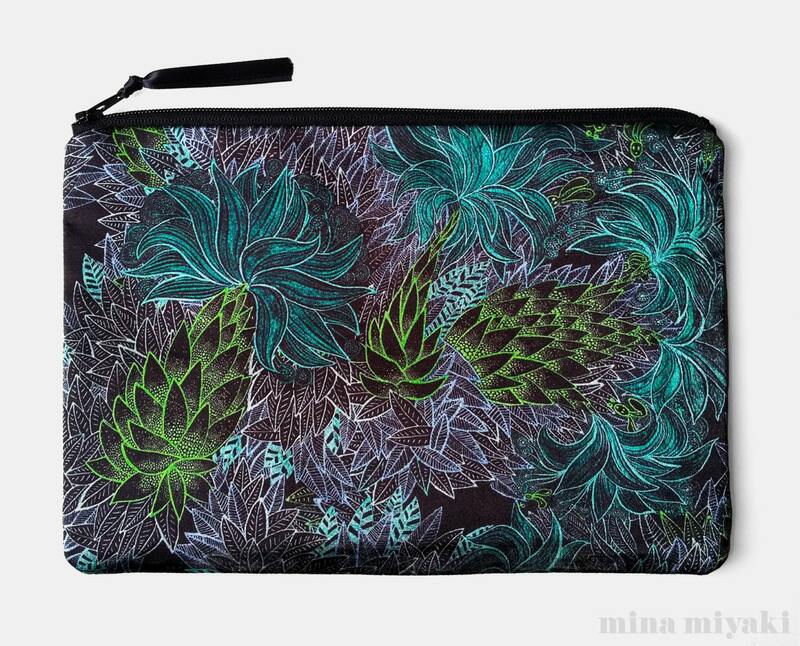 You can use it as a clutch to go out, a pouch for cosmetics, perfume, jewelry, pencils. It’s the perfect bag organizer or use it on the go as a clutch to hold your phone, charger, credit cards and various other essentials. - Flat shape. Also available as a flat bottom shape as shown in the last photo. - Matching water repellent lining: nylon (safe for food). The color may be different from what's shown on the photo. - Ships to the US and internationally within 1-3 days.